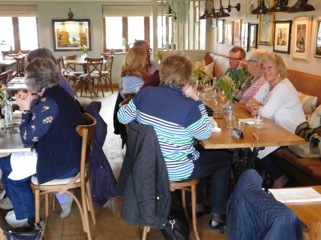 Twelve Morgans took part in a ” Spring Saunter” followed by lunch near Loxwood. 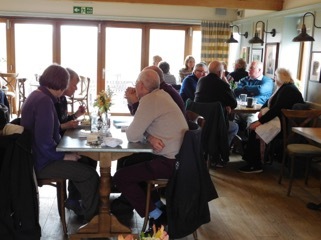 The saunter was organised by Philip and Linda Loring. 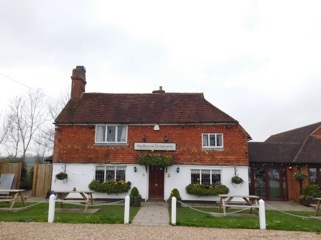 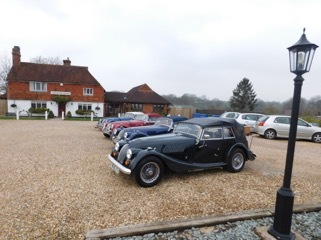 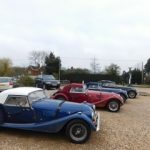 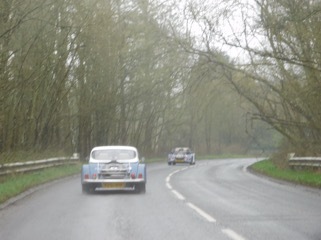 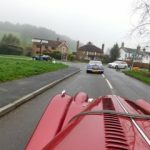 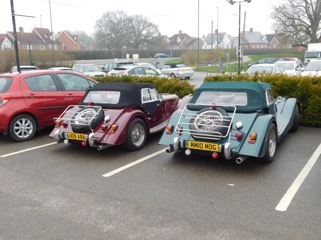 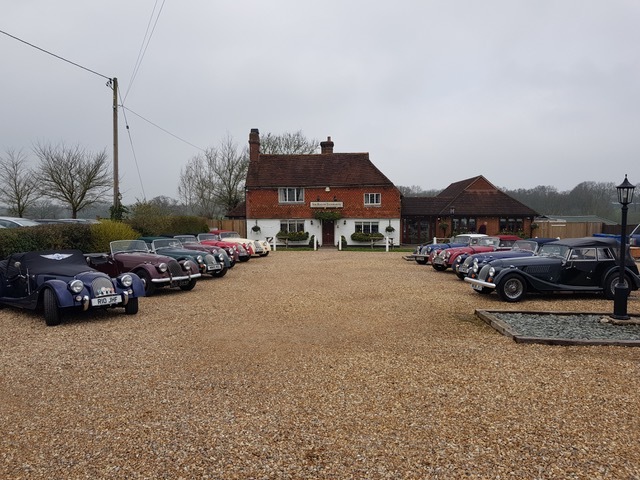 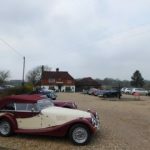 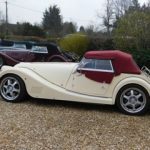 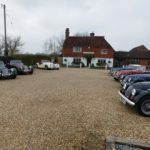 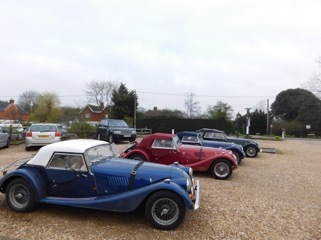 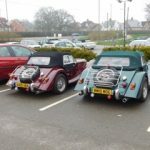 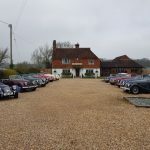 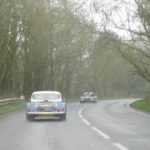 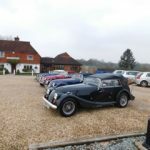 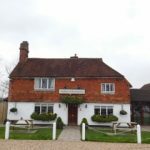 After a quick refreshment at Stooks Cafe we set off in mixed weather and rather wet roads but many had their hoods down and it stayed dry for the run through lovely Surrey villages, country lanes and old cottages with gardens full of daffodils and Spring flowers. 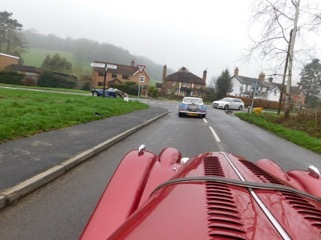 Philip and Linda had also devised a quiz to keep us alert on the way. 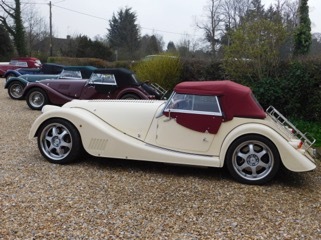 This was won by Terry and Geoff. 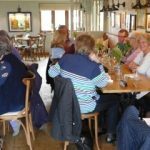 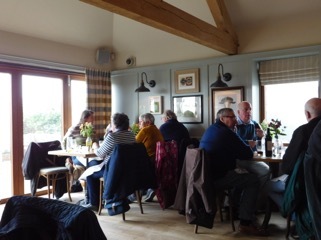 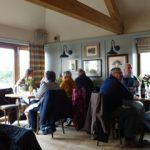 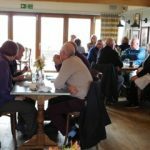 Lunch was held in the conservatory at the very attractive Sir Robert Tichborne old pub at Alford Barns near Loxwood . 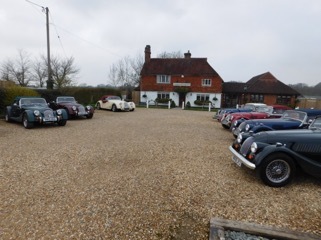 Thanks to Linda and Philip for a great day. 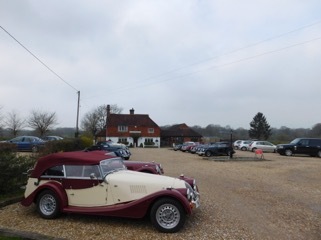 And finally, one taken by George, the publican, to go on the pub’s Facebook site.